I use VO5 as my daily shampoo. My must favorite thing about it is that it controls my dry itchy scalp. When I use it, my hair drys shiny. It also gives my hair volume. Another positive thing is the variety of scents it comes in. I like the Strawberry and Cream scent and many other options. We purchase this shampoo all the time for our family of 6 since it fits all our needs. It's inexpensive, works well and has a terrific smell. Lathers up nicely, rinses out cleanly and leaves your hair smelling wonderfully. A great product that works well for such a great price is a wonderful addition for our family. For Everyday Use IT Is OK, But Not Perfect. Of all the shampoos out there I rate VO5 as number 2.Why? Well, I am half Italian and have had oily hair most of my life, this VO5 product leaves my hair soft and oil free for about 2 days,with regular use.Only one shampoo works a little better and they are a lot more expensive and for someone on a tight budget VO5 is a whole lot better choice. So for the low price I pay a bottle at the local stores, this VO5 product is a very good deal in today's market in my opinion. Effectiveness On my Italian oily hair, it usually lasts about 2 days for softness with no oily feeling .So I don`t have to use it as much as others products I have tried in the past. The product may not be the best on the market yet the price is more reasonable then other brands that may or may not be better. Scent You can smell the fruitful smell in this product or at least my wife agrees that you can. She tells me that I remind her of a TV commercial about a fruity fabric softener. If you don't have a huge budget, V05 shampoos are definitely a good buy. They are cheap, often on sale, and their scents are fantastic. However if you use them often enough, you can end up with a lot of residue on your hair. This can weigh your hair down and make it harder to style, as well as giving it a greasy texture. The smell of this shampoo is fantastic however, it reminds me of the Strawberry Shortcake dolls I used to play with when I was younger. My kids absolutely love using this shampoo, so I make sure it have it on hand for them. The first couple times you use it, it does keep your hair nice and soft, but as I stated before, it can be prone to leave some residue. If you wash your hair every day, I would recommend something else. Effectiveness It cleans your hair, but can leave deposits. The finer the hair, the more likely it will cause issues. Scent I simply love the fresh and fruity scent of this shampoo. I think I feel that there is a common theme with most VO5 products. They all smell good (with the exception of the original), but do not do much for your hair. I don't feel that my hair is bouncier, shinier, or even cleaner after I use this shampoo. I do feel that it smells good. I have used this as nothing merely than a scent before. If this was a candle, it would smell amazing. However, when I am washing my hair, I am not looking for a candle. I have naturally curly hair and it really just makes it feel flatter after I use this shampoo. I just can't rightfully recommend a product that does nothing for my hair and also doesn't seem to be doing anything for anybody else's hair. My hair is not moisturized after the fact. Again, my hair still feels dirty and grimy after I use this product. 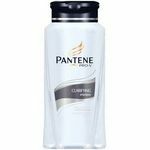 I would stay away from it and purchase something like Pantene Pro-V instead, because that type of shampoo seems to be geared towards both smelling good and also, working! I actually love this product. 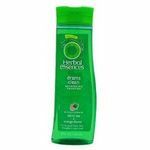 It's not expensive and does a great job of cleaning my hair and it leaves it smelling and feeling great. I've been using it for a number of years now with very good results. I would recommend this product to anyone that likes a good shampoo at a good price. Effectiveness It has a very nice frothy lather and cleans my hair very well. There is nothing bad I can say about this shampoo. The price is very affordable and I usually stock up when I get the chance. Why pay four times the price for a shampoo that might work as well? It doesn't make sense. Save your money. Scent Although I tend to like more outdoors types of scents, this isn't bad considering it's a strawberry scent. Not my favorite, but certainly not bad. That may be the one drawback for this product for me. As well as it works, I wish there were a more manly scent. What I do is rinse twice so the strawberry scent is almost not noticable. The price for Alberto VO5 Shampoo is right for my budget, but the positive things I can say about this product end there. I am not impressed with the quality of this shampoo. I have tried a couple of different scents of this shampoo and find that both of the scents I have tried have an overpowering fragrance. This fragrance is very noticeable when you use the shampoo in the shower and even more noticeable once your hair dries. The fragrance would be pleasant if it was not so strong. I found that this shampoo did not suit my hair type well at all. My hair is not very thick or full, and I found that this shampoo was very drying to both my hair and my scalp. My scalp dried out significantly, and I ended up having to use an anti-dandruff shampoo to counteract the dryness that results from using the Alberto VO5 Shampoo. While this shampoo is a good choice if you are on a tight budget, it is not a good choice if you want beautiful hair! Effectiveness This shampoo is very drying. Scent The scent is way too strong. Normally I use higher priced shampoos, but when I ran out of what I had, money was tight. I decided to try the Alberto Vo5 Moisture Milks Strawberries & Cream Shampoo just to hold me over a couple of days. I was horrified with the results. My hair looked awful after using this shampoo. I have never felt my hair be so dry! It was not soft whatsoever. It honestly was so dry it looked fried. It took me forever to straighten my hair also because the shampoo made my hair so frizzy. I would not buy this shampoo again unless I absolutely had no other choice. It is still sitting under my sink to this day. Effectiveness Not good! My hair did not feel clean because it was so dried out and unmanageable! I have never seen my hair so frizzy. Scent I loved how the strawberries and cream shampoo smelled in the bottle, but it almost made me sick when I could smell it in my hair. It just did not smell the same to me anymore. Maybe it would smell good used as a bubble bath. 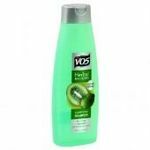 Because VO5 is one of the cheapest shampoos, and I tend to think it's therefore not of very good quality. But a friend recommended it to me, and when I did try it, I was pleasantly surprised because it left my hair clean, very smooth and not greasy. It did foam and produce lots of suds, which I'm no longer accustomed to seeing as I normally use the sulfate-free shampoos. I wondered how much color it was stripping from my hair, but after 2 consecutive uses, I didn't see any difference in the color. I don't think, however, that I would use this as a go-to shampoo if you color your hair or otherwise process it, just in case it does strip hair color. The strawberry aroma was pleasant, strong, and not too artificially harsh. It rinsed out cleanly and did not leave a residue on my hair. I normally shampoo my hair every other day and it didn't make a difference in this - I didn't need to increase or decrease the frequency. So I'd recommend this as an alternative shampoo for processed hair.